Steinlager from New Zealand, given its telling name, is not hard to accurately classify as an European Pale Lager, which clocks in at an ABV of 4.8%. Transparently golden in semblance and highly carbonated with a rapidly deteriorating frothy and fluffy head, it starts out with a biscuity, grassy hoppy hay flavour before it plateaus at a level on par with the better emissions from the Czech Republic with hints of pepper. There is a distinct crispness and a light, melon watery mouthfeel to it that along with its grainy malt flavours and light tartness make it a nice, simple and straight forward yet satisfying go to on hot days, as it is easy to drink and quenching thirst. A solid lawnmower beer. Their Quickchange XPA is an exercise par excellence marrying big hoppy flavours with a stripped-down malt chassis. Mosaic, Galaxy and Citra alpha oils with their mango, guava, pineapple and lychee characters, make for a smorgasbord of delicious nuances that are all individually to a whole that is bigger than the sum of the components and never overpowering. 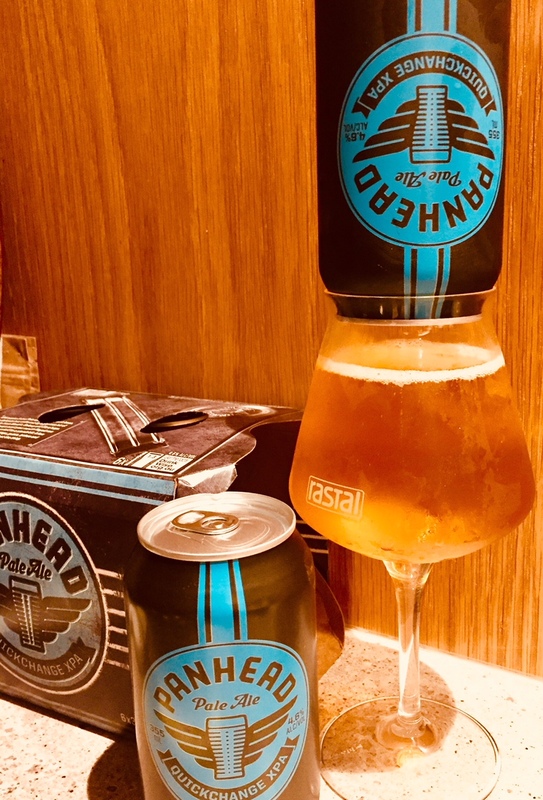 Unfortunately, this is the only emission I have been able to try from Panhead and seeing how their website details a range of limited, special edition brews, this brewery and its aesthetic warrants a dedicated feature. Certainly a brewery that keeps my gears well oiled. 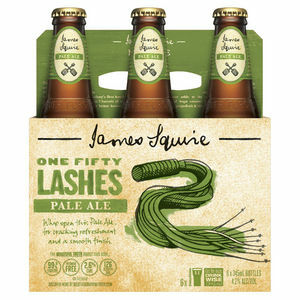 James Squire’s 150 Lashes Extra Pale Ale makes up what it lacks in the ABV department (4.2% ABV) with flavour: Brewed using Nelson Sauvin and Amarillo hops this lively carbonated pale ale is a refreshing pale-gold Australian-style cloudy pale ale with restrained bitterness and a clean, unharsh finish. The use of malted wheat adds to its refreshing character delivering an ale with subtle hints of passionfruit, grapefruit and citrus. Pouring light with its medium body, velvety texture, effervescence with a bit of fizz it proves to be a invigorating, pleasantly light one that with its tropical character and resinous pine feel is ideal for the hot summers on terra australis and very pleasant as an excellently balanced quaffer. Kilkenny, the melange of water, roasted malted barley, hops and yeast that was first brewed in 1710 at St Francis Abbey. For many of these kinds of ales are an acquired taste and I understand why as I have only recently warmed to them myself: The 0,44 l Kilkenny can pours clear old copper color culminating in a creamy nitro head. Aromas are reminiscent of caramel, grainy malt and earthy light dried fruit result in a taste that navigates a spectrum between light sweet to medium bitter. The translucent ruby light body is creamy in nature, not overly carbonated and a finish that incorporates caramel and earthy, gentle bitterness at the finish. Certainly, a beer that is nice to look at, with an immense history and imago to beat. Drinking Guinness on its home turf as well as in pretty much any Irish pub on this earthround is more of a ritual for faithful than merely having a brewski. 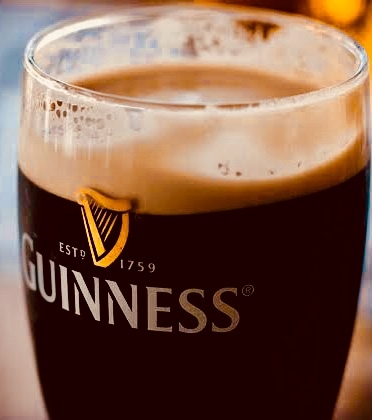 With its very creamy thin beige head and black / dark brown body, Guinness is an experience, which adds to its charm. Taste-wise its rich unique flavour is widely perceived to be an acquired one for sure and I have always wondered about the absence of stouty notes, which one would expect from the appearance alone. It is very creamy and smooth, lightly roasted and reminiscent of cold coffee with only a slight acidity and a rather short finish. The cans come with a widget to help maintain the frothiness that it usually comes with from the tap. As far as the aroma is concerned, Guinness is a nice, rich ode to malt. A classic, robust beer that pairs well with Jameson’s Black Barrel expression, a hearty winter meal and cold days.